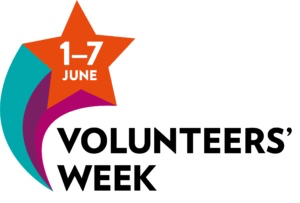 This week is ‘Volunteers’ Week’, dedicated to those who volunteer in all sorts of way. In churches all over the world you will find an incredible army of volunteers, Our Parish is no exception. In order for any Christian community to be faithful we need a variety of people with different gifts to offer their time. This is what as a Church we call, the Body of Christ. In his letter to the Corinthians (1 Cor 12), St. Paul said that the Body of Christ is built of people: people who can teach, pray, care for others, those who can lead worship or discern God’s word in our lives. None of us have all of these gifts, but when we come together offering our individual gifts in God’s service, we can do amazing things. In Our Parish we are blessed with generous people who offer their gifts in a variety of ways. Our Lay Readers have the gift of leading worship and speaking and praying with authority. Our churchwardens care for our 4 buildings as well as having the oversight of the congregations (not to forget, keeping the rector in check). Our PCC are the overseers of all that goes on in our parish while the secretary ensures records are kept and our data is held securely. The treasurer for the PCC holds and manages all of our finances. There are also people in Our Parish who offer themselves by overseeing our Safeguarding policies or health and safety, as well as those who are a part of our pastoral team visiting those in need. We have a wonderful band of people who clean our churches and arrange the flowers to ensure we are worshipping in a good environment. Some people ring the bells to call everyone to worship. There are others who maintain the churchyards, play the organ, read the bible readings, lead us in prayer, welcome others at our church doors, make tea and coffee, bake cakes, organise fundraising events… I could go on and on. Each one is invaluable, yet each one is a volunteer. There are far too many people to name here, but I want to thank everyone who volunteers in Our Parish. I am deeply grateful for all you do in order to build the Kingdom of God. May God bless you richly.